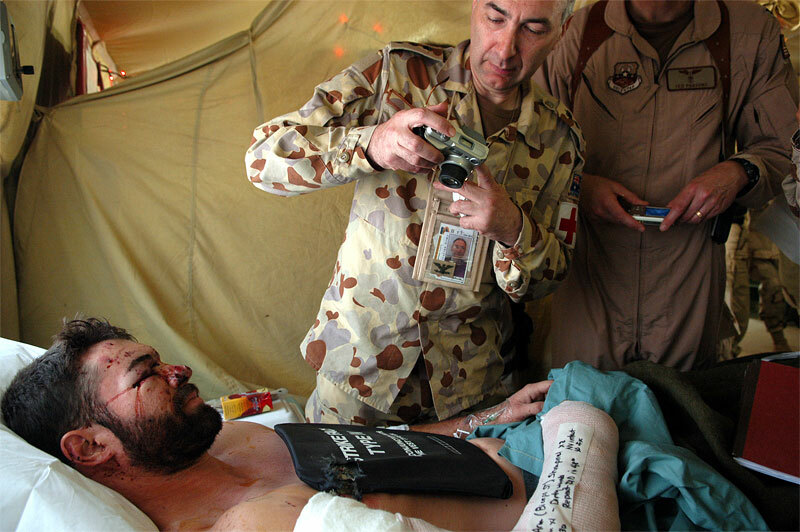 An Australian doctor in the Balad Air Force base in Iraq photographs United States private contractor Jake Guevara. Insurgents ambushed Guevara, along with his team, when they went to pick up people from the embassy, and one of his team was shot and killed instantly. Hundreds of wounded soldiers have come through the military hospital for emergency treatment since the siege of Falujah began in early November.